for $75,000. The lot size is 1.30 Acre(s). ONE OF ONLY FEW PROPERTIES IN THE ENTIRE MLS LISTED BELOW $80.000 ON THE MARSH OR WATER. MAKING THIS ONE EVEN MORE ATTRACTIVE IS IT'S CLOSE PROXIMITY TO THE BEACH! ** Say hello to 4 Palmetto Pointe Lane, a 1.3 acre MARSHFRONT LOT that rests just a few miles from the Atlantic Ocean and with a very attractive price. Found on Edisto Island, you are given the rare opportunity of being just a short drive to the Beach but WITHOUT PAYING THE PREMIUM FOUND IN OTHER LOCATIONS throughout the Lowcountry. 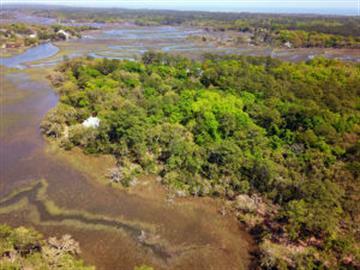 Seriously, this is a rare opportunity to enjoy a true Lowcountry experience and build your DREAM HOME on a 1.3 ACRE MARSHFRONT LOT that is just a short drive to the beach and enjoy some additional privacy due it's location and size.